BOSTON, MASSACHUSETTS and WASHINGTON, D.C. – The U.S. solar market is set to grow a staggering 119 percent this year says GTM Research in its latest U.S. Solar Market Insight Report 2015 Year in Review, published in conjunction with the Solar Energy Industries Association (SEIA). 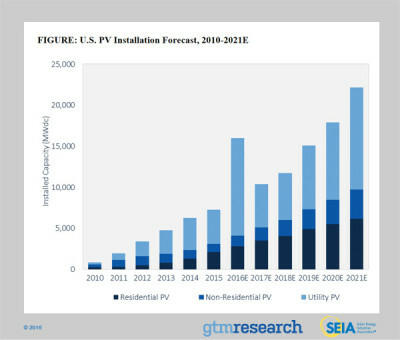 Led by the utility-scale segment, GTM Research forecasts 16 gigawatts (GW) of solar will be installed in the U.S. in 2016, more than doubling the record-breaking 7.3 GW installed in 2015. 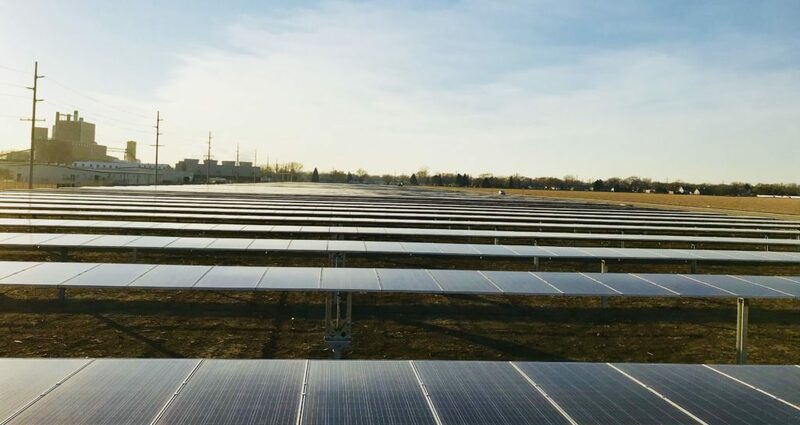 This entry was posted in NewsBlog, Research and tagged Greentech Media Research (GTM), Nebraskans for Solar, Rhone Resch, solar energy development in the U.S., Solar Energy Industries Association (SEIA), U.S. solar market on March 9, 2016 by Helen Deffenbacher.